"We help you perform better...in your world." located in Prescott, Arizona is founded on the premise of providing quality individualized care to patients with a variety of needs. If you have an orthopedic condition, a sports injury, neck or back pain, a need for custom foot orthotics, or a neurological condition our physical therapists will be able to care for your specific needs. 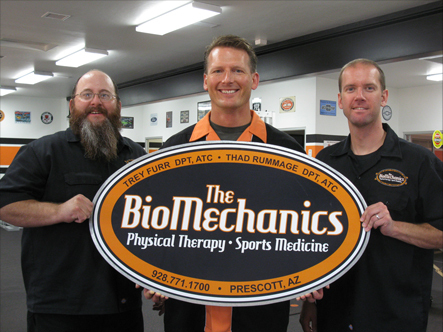 Our goal is to help you perform better… in your world!